Ukraine is to receive a €1.8 billion ($2 billion) loan from the European Union. The move is described as a landmark deal for a non-EU member. The EU loan aims to help cash-strapped Ukraine implement economic reforms, as fighting with pro-Russian rebels in the east has taken a heavy toll. Ukraine is under pressure from the EU and other international lenders to curb corruption and liberalize the economy. The EU also pledged €200 million in grants to Ukraine, Georgia and Moldova, which have signed association agreements with the 28-nation bloc. The other “Eastern Partnership” countries are Armenia, Azerbaijan and Belarus. Georgia, Moldova and Ukraine are pushing for full integration with the EU, while Armenia, Azerbaijan and Belarus prefer limited co-operation with the bloc. In addition, Armenia and Belarus are members of the Russian-led Eurasian Economic Union, seen by some analysts as a rival project to the EU. 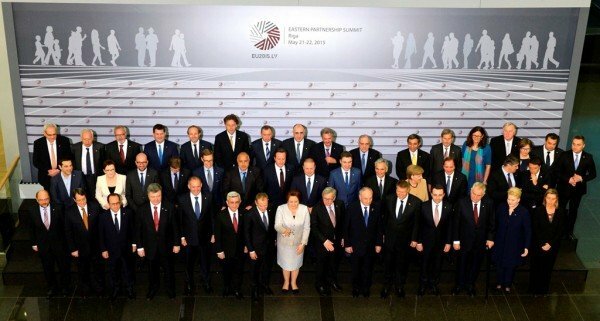 The Riga summit declaration criticized Russia for its annexation of Ukraine’s Crimea peninsula last year. “The acts against Ukraine and the events in Georgia since 2014 have shown that the fundamental principles of sovereignty and territorial integrity within internationally recognized borders cannot be taken for granted in the 21st Century on the European continent,” it said. The declaration recognized “the sovereign right of each partner freely to choose the level of ambition and the goals to which it aspires” in ties with the EU. At a news conference, European Council President Donald Tusk said he wanted to be as “ambitious as possible” in granting Georgia and Ukraine a visa-free regime, provided key conditions were met. European Commission President Jean-Claude Juncker said “enormous progress” had been made on the issue. Georgia and Ukraine countries had hoped for a positive decision on the visa issue at the Riga summit, but it will not happen until next year at the earliest. Last year, Moldova was granted visa-free travel to the EU. Ukraine’s crisis erupted in November 2013, when the previous Ukrainian government backed away from closer ties with the EU. The mass protests sparked by that move toppled President Viktor Yanukovych and led to the conflict in the east. Ukraine’s economy continued its contraction in Q1 2015, and Kiev faces huge debt repayments to its international creditors.